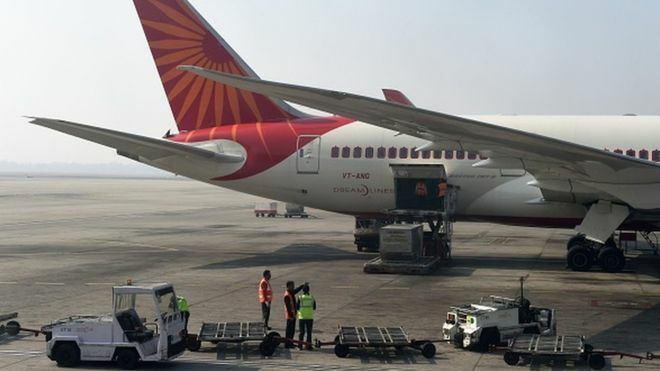 India's cabinet has approved plans to privatise Air India. The debt-laden airline has been struggling to become profitable amid growing competition from low-cost rivals. Finance minister Arun Jaitley said the government had given an "in-principle" approval for the stake sale. India will form a committee to decide on the details, including the size of the government's stake to be sold, he said. The committee will also decide whether India will write off some or all of Air India's 520bn rupee (£6bn, $8bn) debt pile. Prime Minister Narendra Modi's government has been looking into ways to privatise Air India, which was given a $5.8bn bailout in 2012 and relies on taxpayer funds to stay afloat. Privatisation plans have been abandoned before, however, and unions have threatened wide-ranging protests if ministers push ahead this time. Once the country's only airline, Air India has lost market share to new entrants and suffered from a reputation for poor service and cancelled flights. It remains India's biggest international carrier, flying to 41 destinations, and has just under a fifth of the market. Air India has 14.6% of the domestic air travel market.